We are an indie game studio focused on making arcade-like games with classic gameplay. We are based out of Buenos Aires, Argentina. We create our own titles, and we also collaborate on the development of other games for companies in the US and Europe. If you like fast-paced, thrilling videogames, then DOGOS is just for you. 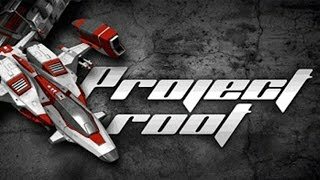 Project Root is a modern retake of the shoot ‘em up (SHMUP) action genre. The game features a truly frenetic pace of shoot ‘em up (SHUMP) style action, tasking players with taking out numerous targets, both on the ground and in the air, while simultaneously dodging an insane amount of on-screen enemy projectiles. Hands-on and sending missiles flying with the PS4 version of Project Root. Project Root lands this April. Copyright © 2015 Opqam. All rights reserved.